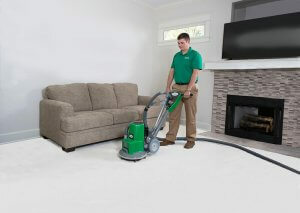 How long has it been since your carpets were cleaned? Do you need some time to think about it? experience and leaves you with a healthier home. The power of carbonation is how we do it. It extracts more dirt and grime from your carpets, giving them a deeper clean. It’s not just about how well the carbonation does the job, either. It also allows us to use a fraction of the moisture that steam cleaners require. This allows your carpets to dry quicker and helps prevent the growth of mold and mildew under your carpet in Redondo Beach. Forget about all of the moisture and water that steam cleaning leaves behind. Chem-Dry’s carbonating cleaner is applied using a low-pressure spray machine, covering up your carpet with millions of microscopic carbonated bubbles. The carbonation releases dirt and grime from the fibers of your carpet, and they rise to the surface where it is easily extracted and swept away. Dry way are dry in only 1 to 2 hours. Our process makes for the best carpet cleaning in Redondo Beach and the LA area. Other carpet cleaners will be unable to completely remove the moisture towards the bottom of your carpets, leaving behind a damp mess that will deteriorate the carpet fibers. This excess of moisture causes the carpets to take longer to dry and allows for mold and bacteria to grow. Overall, Delta Chem-Dry offers a healthier and more thorough carpet cleaning experience. 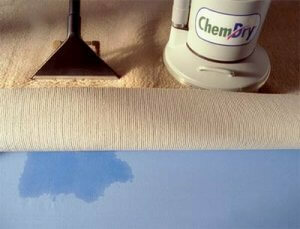 For expert carpet cleaning in Redondo Beach, call Delta Chem-Dry at (310) 326-6234.